I have written about the partnership between Google and Lending Club earlier. The image below shows an actual advertising message Google is sending to its Adwords customers. Note that a special loan is offered, not a standard Lending Club loan. This partnership is a great match for both Google and Lending Club. Google can enable its customers to get access to the funds they need to grow their business and potentially spend more on advertising services supplied by Google. 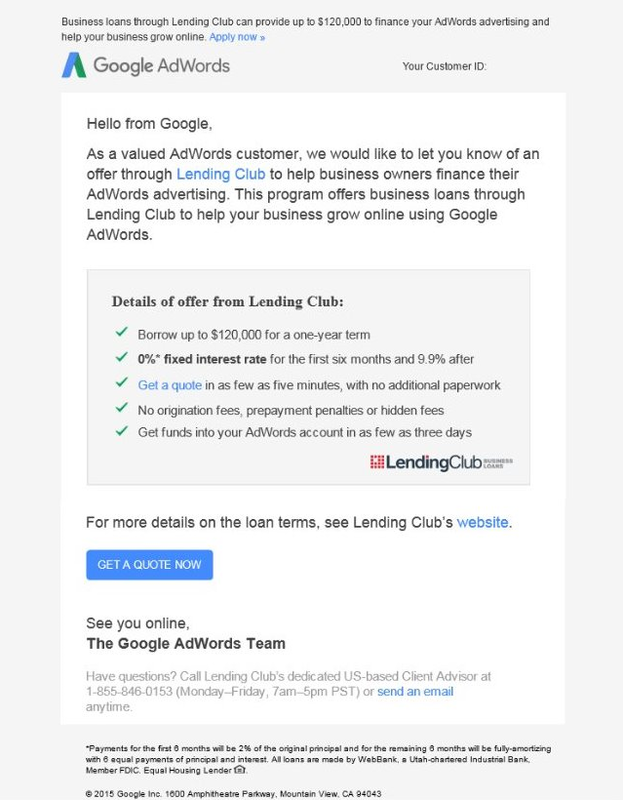 Lending Club can target selected businesses, which were prescreened based on the data Google has via the Adwords customer relationship.